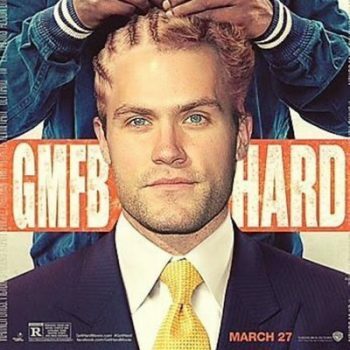 GMF features an actor, an author and a Canadian born ex-NFLer; not to mention a bubbly spark plug who did a highlight in Polish of a Rob Gronkowski touchdown! 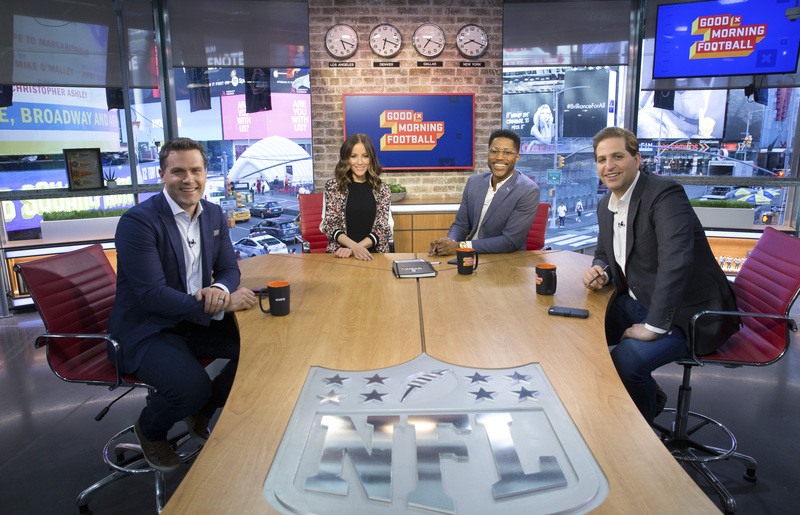 I flipped around the dials of the vertical sports networks last month and when I reached the NFL Network’s Good Morning Football, I was intrigued by the carefree format. The hosts had characteristics that varied, from passionate connections to the game to keen analysis. They all spew impromptu sermons from the strategical to the historical and from studied forecasts to visceral hunches. 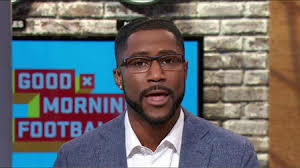 There’s Nate Burleson, a Canadian who played in the NFL and Kyle Brandt who produced Jim Rome’s radio show, played Ivy League football and did some acting. 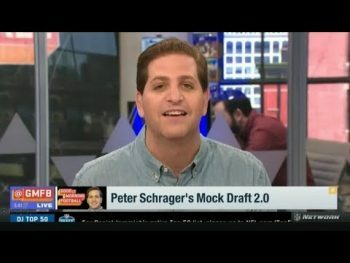 There’s Peter Schrager who did a book on Victor Cruz and there’s Kay Adams who lights up the studio with easygoing laughter. The show flows fluidly without rigidness or a tight format. 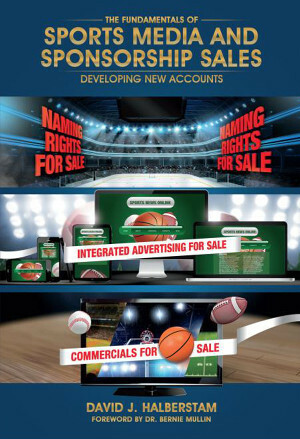 GMF produces fodder for NFL fans who engage in year-round water cooler conversation. The appeal is both broad and narrow. Viewer profiles not notwithstanding, whether interest in the NFL is passing or intense, the hosts produce a comfort level There’s enough for fantasy players who study depth charts or fans who simply want to engage superficially. The cast of characters differs vastly. The personalities collectively appeal to the country’s cross section of fans. You get the feeling that if you watch the show, you’ll come away learning something. And you don’t have to be an expert at crossing patterns, slot formations or defensive packages to enjoy it. I liked it. I interacted with the on-air crew that makes up Good Morning Football. Historically, the vertical networks like MLB, NHL and NBA do their best ratings in-season. So this is their season. You were born in Chicago. You live in New York. You know your football. Were you a football fan before following other sports? I was raised in Chicago, a child of Polish immigrants. I attended a public high school and the conversation there was always centered around football, But in our Polish home, the conversation was always football, European football; soccer. So I felt that by following American football, I would ingrain myself in American culture. My brother also fell in love with the game and I wanted him to love and accept me so I began following football. Doing a highlight in Polish. Now that’s a first. Tell us how that happened. I did it and it went viral. The first highlight to go viral. I’m happy to support Polish people and happy that there are lots of NFL fans internationally as well. My grandfather still lives in Poland. He survived the concentration camps during the war. Growing up in Chicago, we lived in a heavily Polish neighborhood. My mom didn’t speak a word of English but you didn’t need to there. Everyone spoke her native language. Where did you go to school and how did you break into the business? I didn’t come from a family of much means. I went to Mizou, so I bartended my way through school. I eventually got an internship with CW Network. I looked to break in on-air. There was a small radio station in town that ran country music. I was asked if I knew country and said ‘Sure, I can handle it.’ I used to get coffee for people next door at the ESPN radio affiliate One day they put me on one of their shows to talk football and that was my start. What makes Good Morning Football Special? Today, the NFL is 24/7. Everyone is plugged in – especially in age of Twitter. Having four analysts on the set produces different angles. Peter is about the story and genesis. 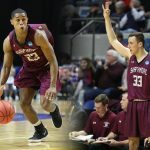 Kyle brings a fan’s perspective and Nate played at the highest levels. Do you want to more on the field work? I’m the happiest on the field. It energizes me. Not sure exactly what I want to do but I do like challenging myself in any opportunity. Being uncomfortable makes me master an undertaking. Talk about a transition and a perfect resume. You have some diverse experience. You worked with Jim Rome, a pioneer national sports talk show host. What did you learn from him? Maniacal preparation. 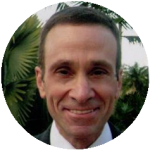 Jim could be doing a 4 minute interview with an athlete he’s spoken to 30 times, and he’ll research and prepare like crazy. There is zero “mail it in” factor. I try to do the same thing. Because I think athletes can genuinely tell when someone is prepared to talk to them. And when they’re not. They can smell the weakness. You’ve also done acting, Days of our Lives and MTV’s The Real World. What qualities and requirements present parallels that you picked up on those shows that you can use effectively on the set? Well, sometimes our show feels like ‘The Real World.’ A handful of maniacs thrown in front of some cameras, basically having a party every day. And ‘Days of our Lives’ taught me that I can take on any challenge. My character was a one-legged Marine who becomes a NASCAR driver. If I can pull that off for 3 years, I can talk for 6 straight months about Le’Veon Bell’s contract. And of course, you played football in the Ivy League for the Princeton Tigers. 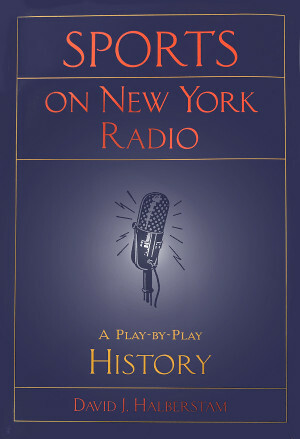 When did you begin to think broadcasting and theater? The second I realized I would never play for the Bears. It was my junior year in high school. As soon as I learned that Steve Spurrier wasn’t going to be recruiting me, I started dreaming that Steven Spielberg would…Also never happened. 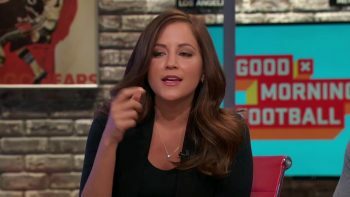 What do you like about Good Morning Football? What makes the show so vibrant? I like Nate, Kay, and Peter. No BS. I do. And I swear, there was a time long ago when sports used to be fun. Now it seems like when I flip on a sports show, it’s angry people screaming about a politician’s tweet instead of a player’s touchdown. Football should be fun. That’s why I like what we do. You’re a busy guy. You have a key role with Good Morning Football and do work for Fox too. What are the challenges? There aren’t any “challenges,” per se, but it means a lot of time at LaGuardia and JFK airports. Need a recommendation for the best spot to get an iced coffee or a New York-themed tchotchke for your kid in Terminal 4 at JFK? Step into my office. I’m your guy. You’re quite versatile. You write. You did a book, ‘Out of the Blue’ on Victor Cruz. 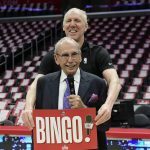 What are the different challenges; writing to on-air? The beauty of our show is that with three hours, there’s room for us all to do whatever we want creatively if it betters the viewing experience. I wrote and delivered a three-minute essay on Luis Perez, the fourth string quarterback in Rams camp who’s bowled 12 perfect games and gave up pro bowling dreams to take his shot at being an NFL player. Why? Because it’s an inspiring and preciously untold story. Still writing plenty, just in a different forum. You’ve done sideline work and in-studio. what are the differences in preparation and which do you enjoy more? I love both and they bleed into each other perfectly. If I’m sitting with Matthew Stafford in a production meeting on Friday afternoon in Detroit or talking with Kirk Cousins on the field before kickoff, that content and information lives on the show during the week. What’s the reaction been to Good Morning Football? It’s been cool. I’m not an idiot. I’ve seen plenty of football shows come and go. We are very grateful that the viewers seem to like what we are doing. We like it, too. You’re Canadian. What got you into football? Your brother Kevin played in the NBA. Any internal rivalry? Yes, we were four boys in the house. We were all athletes. We were very competitive but there was great camaraderie – I was born unexpectedly early. The only one of the four siblings born in Canada. We were competitive about everything; meals, sports, women. You name it. Your playing career was with Nevada, Reno and later four NFL teams, finishing up with the Browns. When did you decide you wanted to do broadcasting? Year #8—I said to myself everything I did I beat the odds- every day is a blessed day -every day is a bonus -from being the clever one in the locker room- to creating a brand for myself. The tipping point was to broadcast. What steps did you take to get a broadcasting job? 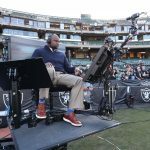 I attended the NFL’s broadcast bootcamp. It was very helpful and I said to myself, I’m comfortable doing this. I would be pretty good. The bootcamp validated things for me and here I am. What do you bring to the set of Good Morning Football? The key quality I bring to the set is that I played the game. I know the game I can draw the Xs and Os and explain them in simple terms. I don’t talk down to people. I talk through them. I can break down plays. I hope that my true love for the game resonates with viewers. I also do Rams’ pre-season games on television.